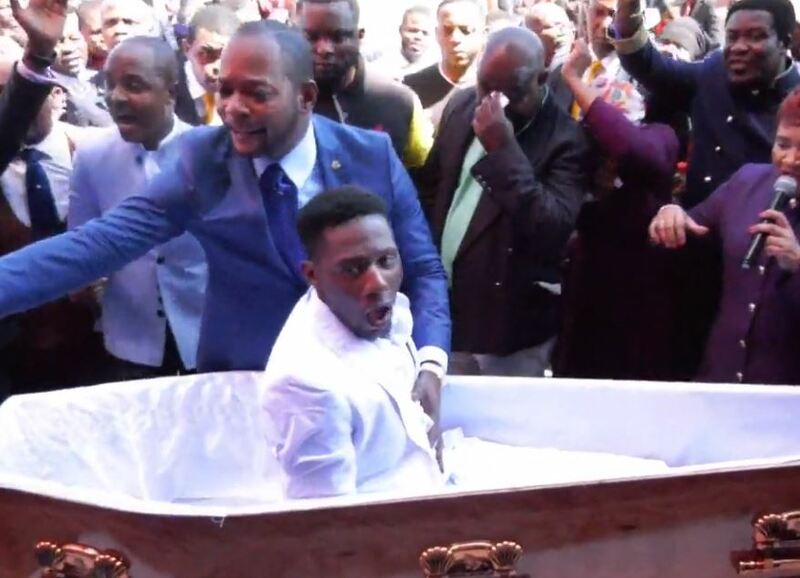 Footage of a pastor supposedly raising a man from the dead is being widely ridiculed after doing the rounds on social media. 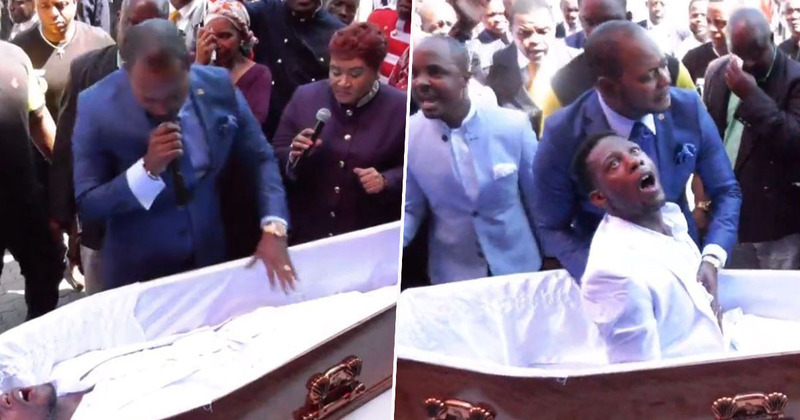 The stunt took place during a live stream of one of Pastor Alph Lukau’s services at his church near Johannesburg, South Africa, on Sunday (February 24), where he approached a man lying in a coffin. 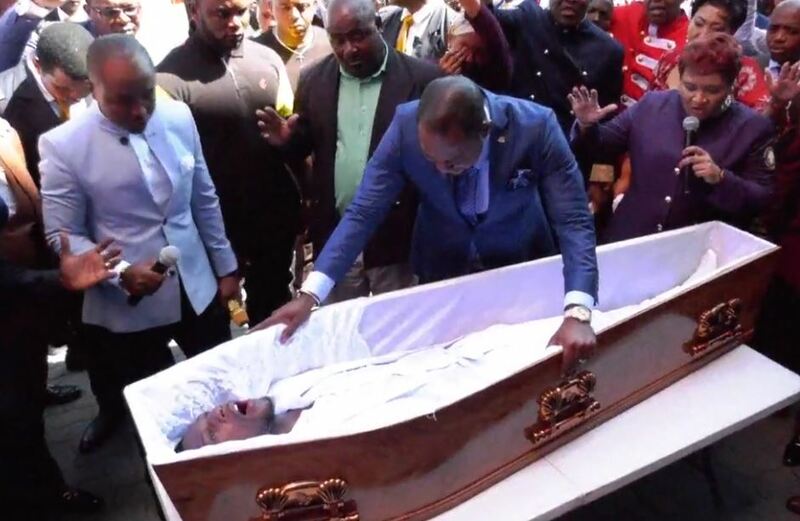 Lukau spoke to the family and acquaintances of the ‘deceased’ man – who could literally be seen breathing as they explained how he died a couple of days previously – after they’d brought him to the pastor from the mortuary. Pastor Lukau then told the man to ‘rise up’ from the coffin. He then miraculously sits up, making the crowd go wild. According to the BBC, three funeral companies who became wrapped up in the stunt say they were tricked by church representatives and manipulated into taking part. They are reportedly now taking legal action for damage to their reputation. King and Queens Real Funerals, who supplied a vehicle for the event, took to Facebook to defend themselves. Sowetan Live report the church has since backtracked from their claims of a ‘miracle’, with Lukau’s church – Alleluia International Ministries – saying the ‘dead’ man was actually ‘already alive’ when Lukau approached him. They added the pastor simply ‘completed a miracle that God had already started’. Professor David Mosoma, the Deputy Chairperson of the Commission for the Promotion and Protection of Cultural, Religious and Linguistic Communities, told SABC News these kinds of stunts were used as a way of getting money from ‘the hopelessness of our people’. Resurrection means suspension of the laws of nature. When somebody claims to have suspended the laws of nature when someone has passed on, it means there must be credible witnesses, a certification that the person is dead, the person must be in a registered morgue. The morgue must certify that this person is dead. All of these things are the questions we are asking ourselves, how did this happen? We have discovered that there are no such things as miracles. They are made up to try to get money from the hopelessness of our people. We cannot allow our people to be abused in this way. I imagine a few of Lukau’s church-goers might have lost faith in him after this baffling stunt.